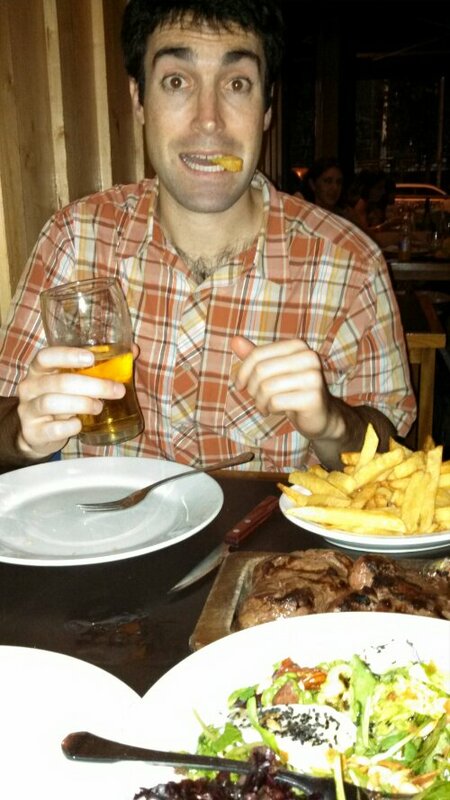 Dan enjoys a proper porteno meal in Palermo – ensalada, lomo, y papas fritas. Right before this photo we were caught in an absolute monsoon. The streets were flooded but we both realized we have never been so prepared for rain in our lives. Rain jackets, waterproof shoes, quick dry pants…we passed the rain test big time. This entry was posted in Argentina, Buenos Aires on January 6, 2013 by Jill. How did the wake-up call go? ?